Tea Collection: Holiday Clothing for Modern Tots at SALE Price... Hurry!! You just got done with Halloween and all of its paraphernalia... but, guess what? The end of Halloween marks the beginning of the Holiday shopping... So, gather paper, pencil and start your new "to do" list.Trying to make life easier, Chittypulga has put together a selection of "overstock" holiday outfits from Tea Collection, Toni Tierney, Zutano and dressy shoes from Pazitos, available now at 20 to 30% OFF the regular price.... Quantities are limited. Shop early, get it out of the way and save BIG time!! One thing that I always refuse when it comes to dressing up my girls for the holidays is getting outfits that will be worn once. Not only they are more expensive than the usual, but the colors and the styles don't fit with any other celebration. 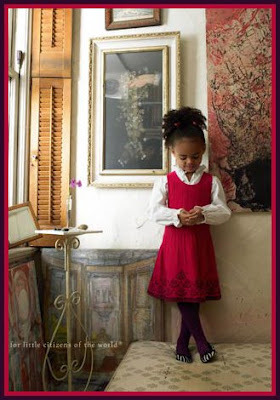 Designs like "El Cielo" dress from Tea Collection is what I hunt for. A gorgeous knit jumper, made of wonderful 100% cotton yarn, with a timeless raspberry color that can be matched with different shirts, tees, leggings or tights to create many other outfits. Mix and match as much as you can!! This economy isn't helping much and the tight budget for the holidays is pushing the fancy outfits off the list... Don't give up!! 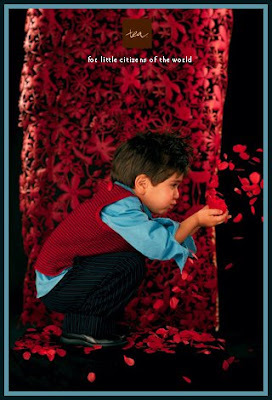 You can still dress up your little boy in style combining pieces that will not be forgotten forever in the drawers. Get the basics, a good quality long sleeve, buttoned down, blue shirt, like the Poplin Shirt from Tea Collection. Add a pair of basic striped trousers like the Temple Striped Pants in indigo color and for a holiday touch, the Republic Knit Vest also from Tea Collection. Three "must have" pieces that your little prince will always need for any other event... Best of all, each one is marked down at 30% OFF the regular price. Not convinced yet about the idea of buying a holiday outfit that can be worn all year around? We understand ...baby's first holiday, the family picture and the grandparents begging for something green and red... You don't have to make her look like a mini Santa Claus to satisfy everybody's requests though... How about something modern, funky and still within the holiday palette? 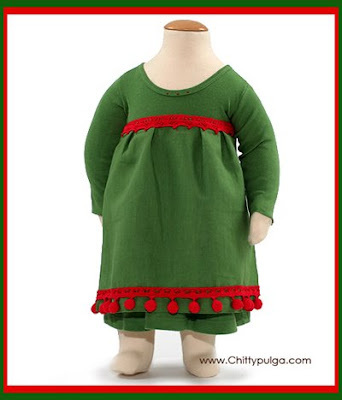 Check this Holiday Green Dress from Toni Tierney... Just different! A pair of red shoes? We are not too sure if we can justify these beauties and talk about how basic they will be in your princess' wardrobe, but they are sooooo cute!! How can we leave them out? Definitely, a perfect final touch for your baby's holiday debut. Pazitos Red Nubuck Ballerina Shoes... a "must have". Ahhh!! ...And if you are into bigger savings this week, enter coupon DRESSUP10 at the top of your shopping basket and save 10% OFF any purchase site-wide. This coupon is valid until Sunday, November 9th, 12:00 midnight EST. I heart the idea of raising kids wearing "organics" and teaching them, through everyday things, how to be friendly to their environment. However, sometimes I miss a good touch of color, those vibrant tones rather than the neutral, mostly found in the clothing made with organic fibers. Organic? Colorful? Made for kids? Sweatshop free? You've got it!! ...These tees have it all!! 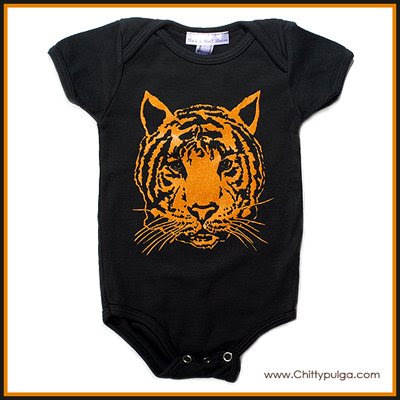 Rock 'n' Roll Babies' new line is out and the graphics are fantastic... Tigers seem to be very trendy these days and these onesies and tees are really beautiful with a shimmery orange silhouette printed on black cotton. Rock 'n' Roll Babies really believe businesses can make a difference in the world commiting to enviromentalism and social responsibility. 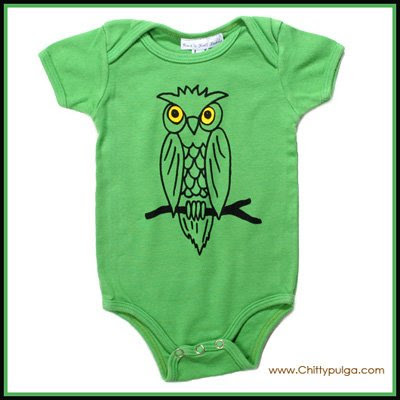 Their onesies and tees are made in San Francisco, sweatshop free, packed in recycled boxes and delivered to the post office by bicycle for gas saving... Are they enviromentalist or what? 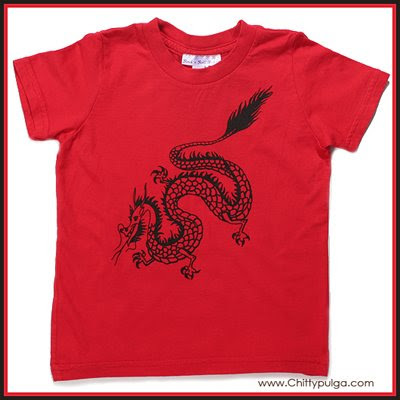 New designs available in onesies sizes 3 to 24 months and tees 2T to 4T at Chittypulga. Here you go!! A special discount coupon for a 10% OFF any purchase until Sunday, October 12th., plus Free Ground Shipping on orders over $100. Right now, Chittypulga is packed with great fall clothing and accessories from Tea Collection, Zutano, Toni Tierney, Pazitos and more. Click and Peek!! Great prices also on marked down sweaters, jackets, scarfs and accessories for the "not so far away" chilly days.